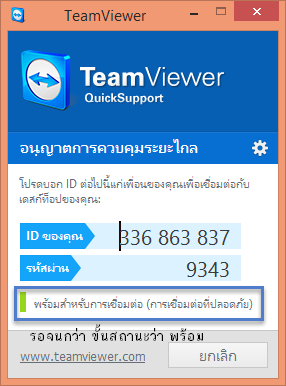 Download program Teamviewer already, click at Icon Teamviewer. When the program Wait Your ID and Password up in. 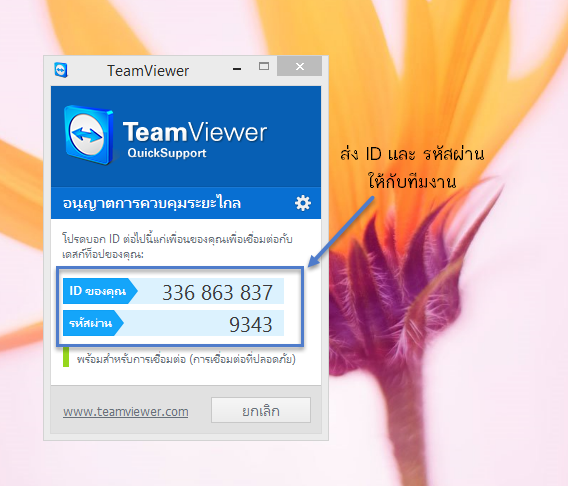 Send your ID and Password to the team to fix the next.